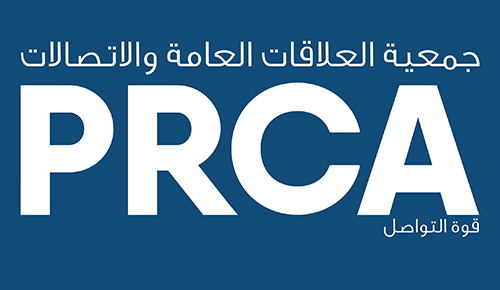 Dubai, United Arab Emirates – 15th April, 2019: The Middle East and North Africa branch of the Public Relations and Communications Association (PRCA MENA) has announced the launch of its newest sectoral group, NextGen Arabia following in the successful footsteps of the initial NextGen MENA group. A group dedicated to supporting those early into their careers, whilst equipping practitioners with all the tools to progress. NextGen Arabia will cater specifically to Arabic PR professionals in roles from Junior Account Executives to Senior Account Managers and will provide a forum for discussion, sharing peer-to-peer advice and experiences, and providing inspirational figures to learn from and ignite ambition. Chaired by markettiers MENA’s Hadeel Mansour, and with a vice-chair soon to be selected, the PRCA NextGen Arabia group will deliver a variety sessions from round tables, guest speakers and socials held in Arabic, which will explore issues/experiences and how to navigate the complex and ever-changing landscape of the PR and communications industry. 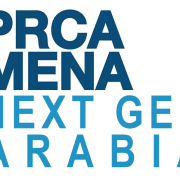 The date of the inaugural NextGen Arabia session will be announced shortly and interested members can register for communications around the Group’s activities by emailing PRCA MENA General Manager Melissa Cannon, at melissa.cannon@prca.mena.global with their name and current position. 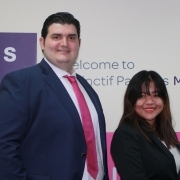 Leading international business communications consultancy Instinctif Partners has kicked off the year by expanding its team for its MENA business, headquartered in Dubai. The addition of new team members follows a year in which double-digit revenue growth was achieved by the regional operation. Khaled Fansa has joined the team as Consultant. A native Arabic speaker with over six years’ consultancy experience, Khaled will support the team’s Arabic content and media relations strategies, Arabization of international material and original copywriting. He has previously worked on corporate communications strategies for global brands including LG, Lenovo, Fitbit, Mashreq, Yahsat, Adidas and Porsche. Khaled also has an in-depth knowledge of the healthcare sector, having worked with pharmaceutical businesses including Novartis, Bayer, Boehringer Ingelheim and AstraZeneca. Khaled holds certificates in Business Communication and Marketing, and Human Resources Management from the London College of Management. Toni Francisco has been hired as Administration Executive, joining the team from JP Morgan. She brings her HR experience in the fields of recruitment, compensation and benefits; and onboarding and offboarding of staff. 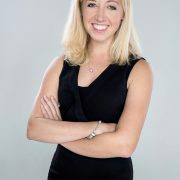 She has also worked in marketing, supporting event promotions and product activations. Instinctif Partners is a leading international business communications consultancy with six practice areas: capital markets, corporate, public policy, content & creative, engagement and insight & research. Instinctif Partners currently employs 400 people in 15 offices across eight countries across Europe, Middle East, Africa, Asia and North America. The company is one of the fastest growing consultancies in its industry, and in the past year alone has won or been shortlisted for over 30 awards, recognising both client work and the growth of the business as a whole. Accolades include International Agency of the Year 2018 & 2017 at the PR Week Global Awards, Outstanding Large Consultancy of the Year 2018 at the CIPR Excellence Awards, Corporate Consultancy of the Year 2017 at the EMEA SABRE Awards, and City Agency of the Year at the PRCA City and Financial Awards 2016 & 2017. Instinctif Partners also won Gold at the PR Week Best Places to Work 2018 for Large Agency and was named by the London Stock Exchange as one of 1000 Companies to Inspire Britain. 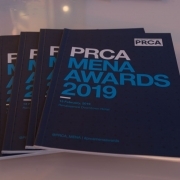 The PRCA MENA Awards 2019 celebrated the very best individuals, teams, and campaigns from the PR and communications industry from across the Middle East and North Africa. Leading practitioners attended the awards at the Renaissance Downtown in Dubai on the evening of Wednesday, 13th February. The Public Relations and Communications Association Middle East and North Africa (PRCA MENA) welcomes ASDA’A BCW as the association’s newest Member. ASDA’A was originally founded in 2000 as an independent agency by Sunil John, who continues to lead in the agency’s 20th year. In 2008, WPP acquired a majority-stake in the firm and became an integral part of the Burson-Marsteller global network. After the recent merger of Burson-Marsteller and Cohn & Wolfe, ASDA’A Burson-Marsteller is now ASDA’A BCW. The agency has grown exponentially since its inception, now employing nearly 200 professionals across nine wholly-owned offices and seven affiliates in 15 Middle East & North Africa (MENA) countries, serving more than 100 retained clients in the region through five dedicated practices: Consumer and Healthcare, Corporate, Enterprise and Technology, Financial, and Public Affairs. The team has joined PRCA MENA to further grow their internal knowledge and to ensure industry standards are upheld and exceeded. 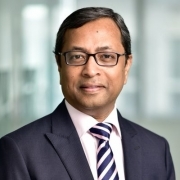 Sunil John MPRCA, President, Middle East, ASDA’A BCW, said: “ASDA’A BCW is delighted to join PRCA MENA, at a time when the organisation’s mission has never been more relevant. Upholding standards and ensuring the public relations industry is seen as a trusted and accurate source of information is especially important in our era of ‘fake news’ and big data privacy concerns. 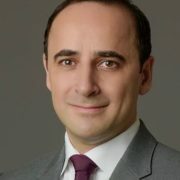 Omar Qirem, Chief Executive Officer, Edelman Middle East will succeed Loretta Ahmed FPRCA, CEO Middle, Turkey and Africa, Grayling at the head of the Public Relations and Communications Association (PRCA) MENA, the leading PR association for the region. “I am honored to be taking up the role of PRCA MENA Chairman and look forward to continuing the good work of Loretta Ahmed. My personal commitment is to continue to support our members and communication agencies across the Middle East and North Africa to grow and evolve, while contributing to the development of the industry in the region. ICCO’s next bi-annual board meeting will for the first time take place in Dubai on Tuesday 12th February, with the annual PRCA MENA awards taking place the following evening on Wednesday 13th February. Sandwiched between these two events, The Holmes Report will be running their Innovation Summit at The Renaissance Hotel in Downtown Dubai. Six million people in the UK (11%) listen to a podcast each week according to RAJAR figures, with the BBC billing 2018 as ‘the year of the podcast boom’. And with the number of podcast downloads crossing 2.6 billion globally last year, and radio reaching more households than TV in the region, podcasting is primed to take off over here. Whilst it is still in its infancy in region, the likes of Gulf News’ Dirhams and Dollars and the Kerning Cultures to name but a few, are creating captive and attentive audiences, that are both building high levels of trust and communities with engaged people. The opportunity for brands is absolute, and it’s those who are thinking ahead of the curve that are already captialising on its renaissance. B-Roll is often overlooked by PR professionals, but its power to secure TV coverage is huge. With that in mind, I believe in 2019 we will see more emphasis placed on the importance of B-Roll. In short, B-Roll can determine whether you clinch that slot on a TV or online channel or a journalist pressing the delete button. It can often be the difference between trophy and mediocre coverage and with TV coverage often considered the ‘holy grail’, it should play a vital role in campaign planning. Often overlooked, B-Roll essentially consists of loosely edited footage captured to enrich a story you are telling. Far from being a polished piece of video content, its aim is to provide news broadcasters with a sequence of supplementary footage from which they can cherry pick the content they require to develop their own news story. So with news teams are often working with limited resources, constantly working against the clock to deliver their news items for the TV bulletins, and broadcasters not always able to dispatch a crew out to cover a story, producing some well-crafted B-Roll could just be the ticket to delivering an impactful, engaging story. 2019 will be the year of the details. Gone are the days when AVEs and “PR values” are being seen as an accurate way to measure the effectiveness of a campaign. There is not one standard measurement that can be applied to all online coverage for instance that suggests one website has the exact same value as another, so there will be more emphasis on the replacement of these archaic forms of measurement and more scrutiny over evaluative measures. Clients will demand more analysis on results to demonstrate effectiveness. Ultimately, demonstrating a tangible ROI will always go back to the extent to which a campaign can impact the business bottom line. Demonstrating tangible business outcomes will therefore be key. Just three years on from the launch of Facebook Live, 2019 will also be a big year for brands growing their use of live video. Communicators are now using live video to break news, make news, for thought leadership and internal comms exercises. The power of live and the potential it has is huge; not only is this apparent through the level of transparency it offers, but live has a higher level of trust because of its authenticity. By tapping into communities via social media and wider, brands can create a two-way level to further build advocacy and trust. Higher production values now exist with live video, so gone are the days of shaky Facebook Lives delivered on a smartphone, and in their place are multi-camera live online streams that look slick, high end and are well thought out. Live videos are not purely the domain for social however. There is a huge opportunity for brands to maximise the currency of live and extend its value beyond social media, and into traditional media, with new sites actively looking for editorial content of this nature. Working the content hard so that live videos also appear on the client’s website as well as pushed the existing client databases are just a few ways to ensure the power of live is realised through the value it delivers. 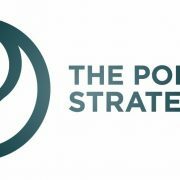 Dubai, 5th December 2018 – markettiers4dc, the specialist communications group, has today launched 4DC, a global end-to-end strategic podcast consultancy. Developed to serve the hundreds of brands actively seeking to understand the opportunity and value of radio-on-demand. The launch of the dedicated podcast company, markettier4dc’s fifth communications service within the group, offers brands strategic consultancy, content development, production and distribution on a global scale. With a focus on building audiences and engagement, 4DC creates branded content through narrative using world-leading audio technical expertise. Cheryl King, managing director, markettiers4dc MENA, explained. “The podcast space is booming. A lot of brands have their toe in the water because they want to be heard but don’t necessarily understand what the best approach is. And, as a service sector, no one is owning it. The new service launches today with several high-profile clients, including Oracle. ** Research institute run by China’s State Administration of Press, Publication, Radio, Film and Television. From the biggest brands to ambitious start-ups, markettiers4dc is trusted to get its client’s message in front of the right people. It utilises its expertise and trusted relationships across national and local TV and radio, while leading the way in innovative audio, insights & market research and visual audience engagement. 4DC is a global end-to-end strategic podcast consultancy. Launched in December 2018, 4DC, one of five communications companies housed within the markettiers4dc group, offers unique full-service podcast creation and distribution strategy with a focus on building audience and engagement. When it comes to measurement and evaluation, how confident are you discussing measurement with clients? According to the International Communications Consultancy Organisation (ICCO) 2017 world report, 83% of respondents in the MENA region still use advertising value equivalents (AVE’s) because they say that it’s expected by clients. We, as an industry, are ambitious and creative, pushing the boundaries with fresh new ideas; we are versatile with new technologies and strive to keep up-to-date with the latest trends. We also pride ourselves on being experts in our industry. But are we missing a trick when it comes to measurement and evaluation? We produce great work to be measured, and that needs to stand up to scrutiny. But after all of the hard work is over, are we really showing our true value? Are we in fact doing ourselves an injustice when it comes to measuring our campaigns using AVEs? We are all ambitious when it comes to effective measurement and ultimately delivering client campaigns with demonstrative results, both qualitative and quantitative. So why as an industry do we still feel a need to use AVE? A simple response could be, what’s the alternative? ….Is it our role to demonstrate and provide clients with new and more effective ways to measure? As a company, we developed a model; Media Influence Index (MII), which measures the actual impact and outcomes of coverage, where coverage is an output. Has the coverage impacted brand sentiment, has it impacted intent to purchase, and has brand advocacy improved? Let us also not forget that some activations aren’t coverage focused, and in those instances, data capture, enquiry, attendance at events and alike are perhaps simpler to measure. We are all acutely aware there are a number of discrepancies when it comes to AVE, the method for evaluating does not hold up to scrutiny, and in a forward-thinking age, where demonstrating an ROI is now business critical, AVEs have not stood up to the test of time. The challenge therefore is to ensure that in response to a brief we are clear and focused on what the end objectives are. For us, if its data capture, or shifting audience behaviour we need to focus on the routes to market that we know will have tangible measurable results… is it TV and Radio interviews, is it a video package for digital and mobile distribution, or perhaps live streaming with moderated Q&A enabled? For example, our work in the field of live streaming is testament to demonstrative results, allowing us to deliver high impact targeted campaigns, whether B2B or B2C, to core audiences measured by views, dwell time, data capture and enquiry, a technique giving us real metrics. Let’s believe in ourselves as PR professionals and demonstrate the true value of work by consistently referring back to results that have made an impact on the business. It all starts at the art of planning clear SMART objectives and developing a campaign to achieve the end goal, but we all work in communications and know this right? You’d be surprised, over the years, the number of award entries I’ve seen that only reference media coverage (and sometimes flowers) and not the positive impact on the business. We are experts in our field and can measure if our campaign has had an effect on the business. Did the campaign drive sales or improve client retention? This is real data, leading to better measurement and evaluation which in turn enables us to refine and improve our work, as well as justify our position further up the food chain re importance to the brand. We need to continue to be experts, improving our practices and show our clients a different, more effective way to measure. We can do this one step at a time and there are a variety of tools available for us, AMEC’s PR Guide to Measurement and AMEC’s Integrated Measurement Framework which both support not using AVE’s and also industry bodies such as PRCA and MEPRA. 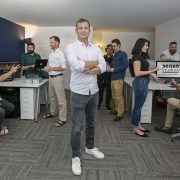 ABU DHABI: The owners of Seven Media, one of the region’s leading PR agencies, have launched a video production company to satisfy a growing demand for quality multimedia content in the region. Seven Studios is now fully operational from a custom-made HQ in Abu Dhabi’s twofour54 media zone – and has already signed contracts to produce video for some of the UAE’s most prestigious institutions as well as a number of international brands. The new company produces cutting-edge social media content, consumer-focused multimedia campaigns, animations and innovative corporate videos across multiple sectors – including government, sport and leisure, entertainment, automotive and hospitality. Seven Studios Co-Owner Gregg Fray said: “The power of video story-telling is particularly strong in the Middle East, with 35% of all online time here spent watching video. There has been a 90% year-on-year increase in mobile watch time and that trend is set to continue, so clearly organisations who want to cut through the noise need to be putting innovative, relevant and shareable video content out in that space. “Seven Media has produced video for its PR clients for some time, but we launched Seven Studios in response to a growing demand for stand-alone video and video-led campaigns to really tailor that service. Seven Studios currently has a core staff of 10 videographers, editors and animators, led by managing Director Emmanuel Somoglou, the former multimedia editor at The National. More than half of the team are first-language Arabic and have the support of Seven Media’s 65 communications professionals in the GCC. Owned by Gregg Fray and Matt Slater, Seven Media has been named Agency of the Year by the PRCA in both 2017 and 2018. Watch the Seven Studios showreel here.